Thank you for thinking about the families and individuals who seek help at the Catholic Multicultural Center. Your support truly makes a difference to the CMC and to those we serve. Click above to make a one-time contribution. Click above to set up a recurring contribution. log in using the button above to make a donation. 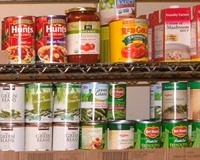 Contact us if you are unable to drop-off a donation during these times. Host a food drive for the CMC through "Adopt the Pantry"
If you would like to donate something not on this list, please contact us with any questions. Due to lack of space, we are not able to accept any clothing, electronics, or other items. 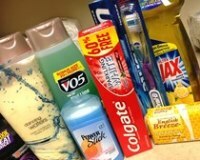 We appreciate you thinking of those in need and encourage you to donate these types of items to St. Vincent dePaul. The CMC is able to provide clothing and household items to our guests by referring them to St. Vincent dePaul’s to receive a free store voucher.